The bittersweet conclusion sends you out with a well of emotion and overall, it’s a touching tribute to a lost friend, artist, and lover. Speaks to the enduring, mystifying qualities of the human heart … riotously funny, with fine performances…. The directors and cast members of each piece take this journey as if they are floating on the edge of a beautifully cascading surreal imagination…. Guaranteed to walk you out of the theater on a high note. Recommended. A heart-warming tribute to a man who was obviously loved by many. Sincere performances and a lot of humor. A genuine exploration of human idiosyncrasies that all come together to paint a picture of a man who seemed incredibly in tune with the questions we seek but often can’t find. 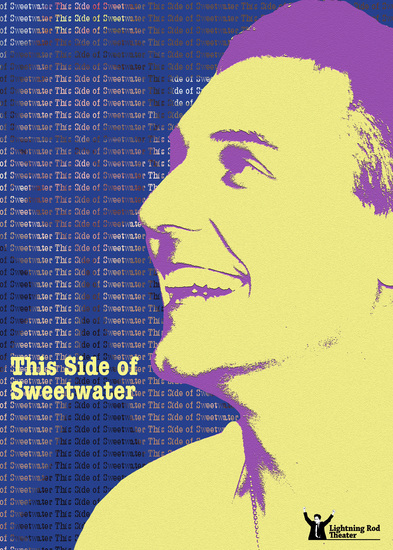 Award-winning playwright Tom Stanczyk explores the absurd, the romantic and the enigmatic through the lives of seven couples in THIS SIDE OF SWEETWATER. From wide-open dreamscapes through life changing celebrations to the uncertain vastness of a cool desert night, lovers fall for each other, argue, swear they can’t go on, and then … they go on. Tom Stanczyk’s bold re-imagining of the gangster drama, BLOCK NINE, won the L.A. Weekly Theater Award Production of the Year in 2009. Sadly, Tom passed away last fall after he was hit by a car as he crossed a street near his home. Lightning Rod Theater is producing THIS SIDE OF SWEETWATER in his memory.